Are you sure you want to remove Six months at the White House with Abraham Lincoln from your list? The account of EB Carpenter's Experience painting the white house in 1863 and 1864. This includes stories about Lincoln's interactions with White House visitors including desperate job seekers, worried mothers, and orphans. Carpenter also had a chance to and hear Lincoln tell the story of his decision to abolish slavery and recite Shakespeare. in English - White House Historical Association ed. 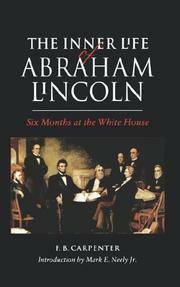 The inner life of Abraham Lincoln: six months at the White House. 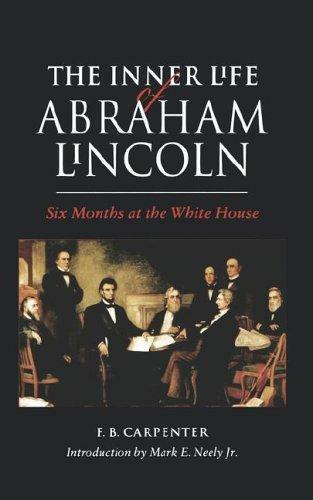 Six months at the White House with Abraham Lincoln. : The story of a picture. The inner life of Abraham Lincoln. : Six months at the White House. February 14, 2016 Edited by Stephen Jenkins Edited without comment.